Pendulum seismograph used at Eskdalemuir Observatory. 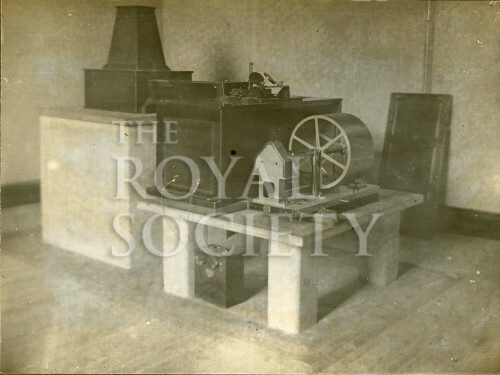 The instrument was designed by John Milne FRS (1850-1913). Captioned ‘Milne Seismograph. (Open – showing Recording Parts)’.